UV Pro was created to fight foot and shoe odors. Its versatility is a distinguishing attribute. UV Pro not only cleans shoes. It also cleans bags and gloves. 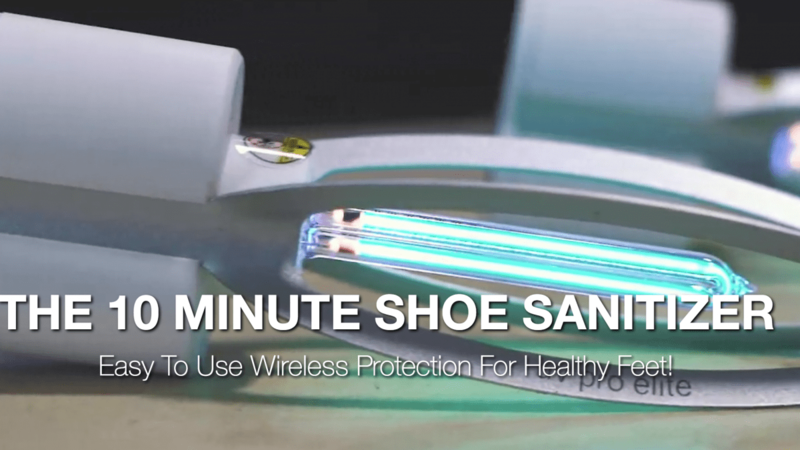 The device would be ideal for you if you have diabetes, athlete’s foot, foot infections, or fungal toenails. The gadget has three modes: Elite, Sport, and Normal. To prevent your products from overheating, choose the Elite mode. This mode works for fabric and leather. It works for the first 3 minutes turned on. In the next three minutes, it turns off. The complete cycle for the Elite mode is 12 minutes. If you are athletically active, the Sport mode is appropriate for you since it has a longer complete cycle of 20 minutes. Avoid the Sport mode if you want to clean leather shoes. Normal mode can be used for everyday shoes. The complete cycle at Normal mode is 10 minutes. UV Pro Elite sanitizers are wireless and rechargeable. The UV-C lamp in these sanitizers generates ozone, which disinfects 99.99% spots that cannot be thoroughly disinfected by UV light. It has been tested in labs in the U.S. and Europe. The sanitizers come in one size. Things can be cleaned on the go with the UV Pro Elite device because it is not heavy. Therefore, the UV Pro is a great product for you if you are frequent traveler. One of UV Pro’s advantages is that it does not have the effects of harsh chemicals. Another advantage of UV Pro is its safe design. The touch sensor stops the gadget from activating. UV Pro Elite has features for eye protection against UV. The UV Pro Elite Base is the charging station for the UV Pro Elite sanitizers. It can be plugged into a standard outlet. Another charging alternative for the gadget is USB. The sanitizers recharge in 40 minutes. The UV bulb lasts over a year. The UV Pro gadget has a sheet metal frame and a plastic case. The plastic case offers a smooth and shiny surface. You can benefit from UV Pro’s one-year warranty if you experience any defect with your device.